It’s a tale as old as time. 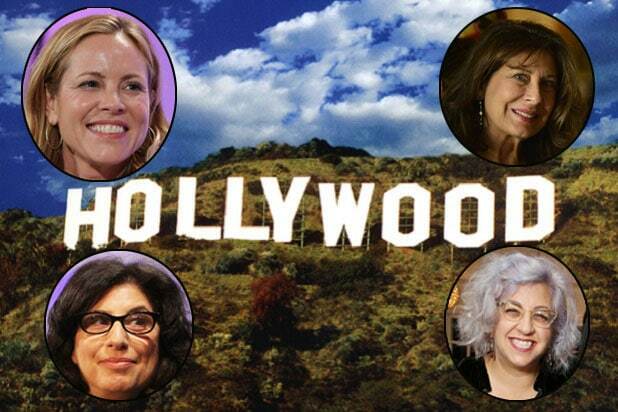 Women don’t write/direct/produce enough movies. The system is rigged in favor of Hollywood’s old boys network. That’s the bad news. The good news is, it’s getting better. Slightly. According to the 18th annual Celluloid Ceiling report, the number of female directors working on last year’s top 250 domestic grossing films rose from 7 percent in 2014 to 9 percent in 2015. While that may be an improvement, the advancement isn’t nearly enough, especially when 9 percent remains even with the percentage achieved in 1998. Seventeen years later, Hollywood seems to be stuck in neutral. In other off-camera roles, women accounted for 11 percent of writers, 20 percent of executive producers, 26 percent of producers, 22 percent of editors, and 6 percent of cinematographers. Overall, women comprised 19 percent of individuals working in the filmmaking roles considered. Again, that represents an increase of 2 percentage points from 2014, but remains even with the figure obtained in 2001. The results were announced by Dr. Martha Lauzen, executive director of the Center for the Study of Women in Television and Film at San Diego State University. The study also revealed that movies with at least one female director employ higher percentages of female writers, editors, and cinematographers than films with exclusively male directors. For example, on films with female directors, women represented 53 percent of writers, while women accounted for only 10 percent of writers on films with male directors. “When women are in a gateway role, such as director, they may open the door to opportunities for other women,” explained Lauzen. The Celluloid Ceiling is the longest-running and most comprehensive study of women’s behind-the-scenes employment in film available. It’s clearly important to the future of Hollywood, which must be familiar with and grow from its mistakes in order to improve for the next generation of female filmmakers. Julia Roberts, "Secret in Their Eyes"
Before she was approached for the film, Roberts' role was written for a man whose wife is murdered. In order to land her involvement, director/screenwriter Billy Ray recast the role as a woman who loses her daughter. Producers pushed to rewrite Blunt's character as a man, but writer Taylor Sheridan believed it would alter the film's central dynamic. Blunt plays an FBI agent dispatched to fight the drug war along the U.S.-Mexico border. Bullock landed the role of "Calamity" Jane Bodine, a character originally written for George Clooney and based on real-life (male) American political consultants working on the 2002 presidential election in Bolivia. In the TV reboot of the science fiction film, Hampshire took on Brad Pitt's iconic role of mental patient Jeffrey (now "Jennifer") Goines. The reason for the switch? Writers for the show didn't think they could find a male actor to live up to Pitt's part. Charlize Theron, "The Gray Man"
In another role originally meant for Brad Pitt, Theron will play an assassin fighting her way across Europe. The change was made after a three-year halt in the project. This remake of the 1989 cult classic was developed as a starring vehicle for Rousey. The UFC fighter will take on the role that made Patrick Swayze famous. 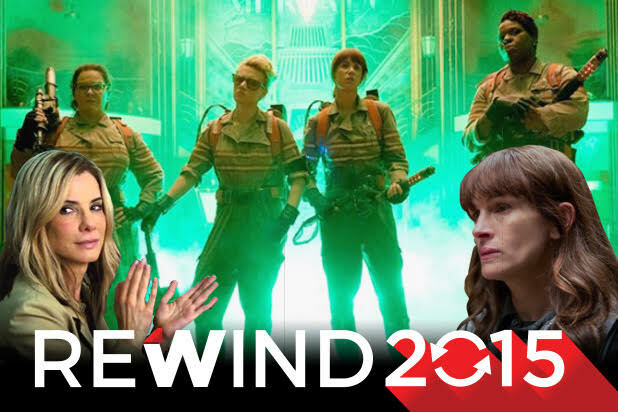 Melissa McCarthy, Kristen Wiig, Kate McKinnon, and Leslie Jones, "Ghostbusters"
In a gender swap that was rumored for years, Sony's gonna call this all-star, all-female team for its "Ghostbusters" reboot due in theaters in 2016. The film marks a rekindling of the comedic chemistry Wiig and McCarthy shared in "Bridesmaids" flanked by "SNL" stars McKinnon and Jones.